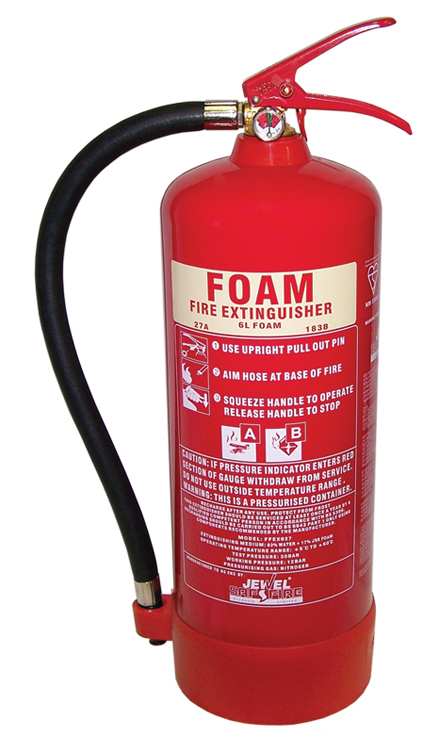 Firepower high performance 6 litre AFFF foam fire extinguisher. Provides a fast and powerful means of tackling flammable liquids. It has a spray nozzle, internal polyethylene lining, protective plastic base and corrosion-resistant finish. Operated with a squeeze grip action. This extinguisher has passed the 35kv conductivity discharge test. Supplied complete with bracket.